Somerset, NJ– Using just 11 watts of power while putting out 830 lumens, the latest generation of Philips’ 60 watt A-19 LED bulb uses 10 percent less energy than its 12.5 watt predecessor, while increasing brightness by nearly five percent. The new lamp has an innovative design that replaces heat sink fins with a more streamlined and stylish appearance. 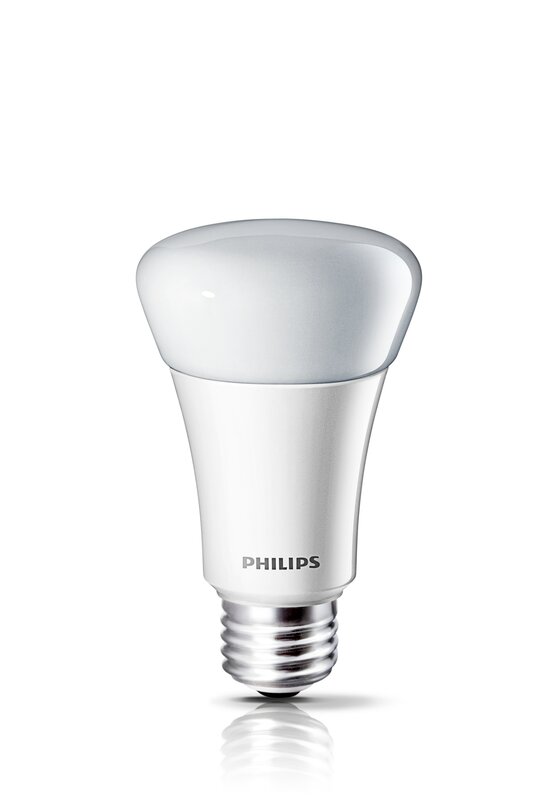 Philips will be unveiling the new bulb at the Home Depot store on 59th Street in Manhattan on December 4-5th, and at the 23rd Street store on December 5-6th, offering consumers a $5 savings and the opportunity to learn more about LED lighting technology for the home. It will also be available at www.homedepot.com/lightbulbs with roll-out expected at the beginning of the year. Designed to exceed Energy Star specifications, the bulb will reduce energy consumption by 85 percent, last 25 times longer and save an estimated $134.00 in electricity costs during its lifespan, as compared to the traditional 60-watt incandescent. This LED bulb will also offer consumers two different color temperatures, Soft White and Daylight, while the new sleek white shape makes it ideal for open fixtures and sheer shades. The new Philips A-19 LED bulb offers enhanced dimming capabilities, with the potential to dim down to two percent of light level, while working with a broader range of dimmers. This further simplifies use and allows consumers to enjoy an effective, low energy solution for lighting in the home. For business users, particularly those within the hospitality sector, the new lamp will provide instant plug-in savings, through reduced energy and maintenance costs, in comparison with traditional bulbs. Philips is at the forefront of LED lighting technology and the new A-19 LED bulb joins an industry-leading portfolio, leveraging the innovation of the revolutionary L Prize bulb, recognized by the US Department of Energy. From floodlights to spotlights to decorative candles, Philips offers a broad range of LED lamps designed with the latest and most advanced LED technology available on the market. Offering superior light quality and supporting some of the most popular fixture types, Philips LED products continue to usher in a new era of sustainable lighting. The new Philips 60 watt A-19 LED bulb has an innovative, streamlined design and stylish appearance while using just 11 wats of power.